The Russell Morris story began around 1966, when the gangly, sandy-haired 17-year-old pop enthusiast started hanging around gigs by The Groop, who were a favourite of Melbourne pop fans during 1966. Russell was hoping to get a break for his fledgling band, Somebody's Image. Although they were raw and inexperienced, Russell and his mates were totally committed to their cause and they practised fervently for five months before playing their first live gig (which was headlined by The Groop). They immediately attracted the attention of their future mentors -- particularly keyboardist Brian Cadd and singer Ronnie Charles -- and a long, valuable and fruitful musical friendship was forged. Word got around and Somebody's Image quickly developed a strong following at Melbourne's premier venues. It wasn't long before the band came to the notice of Go-Set staff writer Ian Meldrum, who was already championing The Groop relentlessly in his columns. Ian certainly spied potential in Russell (if not in the band) and he encouraged them with typical "Molly" flair, taking over as their manager, wanna-be record producer and behind-the-scenes "ideas man". Somebody's Image began their recording career with the single "Heat Wave", released on In Records, the pop subsidiary of prominent Melbourne indie label W&G. The Ian Meldrum-produced single was a reasonably convincing cover of the Holland-Dozier-Holland classic, but it failed to chart. The follow-up successor was an arresting version of Joe South's "Hush". The single was give strong support by Melbourne radio and, eventually, gained national airplay, peaking at a very respectable #15 placing. As was often the case with Australian covers so such songs (cf. The Throb, The Aztecs, Colleen Hewett and many more) the local version was far superior its overseas rivals -- in this case Deep Purple's comparatively feeble rendition from around the same time. That distinctive signature guitar riff, which opened the song and provided its backbone rang out relentlessly from so many radio sets in late '67, and anticipation grew for what this exciting new band would do next. Meldrum's support and hard work promoting the band -- and his fast-developing clout in the Melbourne music industry -- helped them to secure a firmer recording deal with EMI. The result was their third single "Hide And Seek", a wonderful poppy production co-written by former Throb guitarist Marty Van Wyk. Sadly it only achieved moderate chart success (#32 in Melbourne) but it was their last release with their original singer. Russell left Somebody's Image in September '68, and they recruited new singer/guitarist Brian Holloway (ex The Dream), with continued support from Ronnie Charles and other Groop friends. It was also the end of the band's association with Meldrum who by this time was focussed on his plans to groom Russell Morris as a solo megastar. 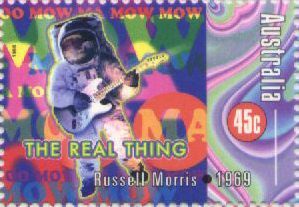 The first and most memorable chapter of Russell's career was his epoch-making single "The Real Thing", backed by "Only A Matter of Time", a bright slice of pop from the pen of prolific Aussie songwriter Hans Poulsen. Because of this record's significance as a bona fide classic of Australian rock, it is examined in greater detail in the Reflections section of this profile. As the recording of his new opus stretched out over an unprecedented period of several months, Molly carefully built up the public anticipation with exclusive articles in Go-Set previewing the new single. 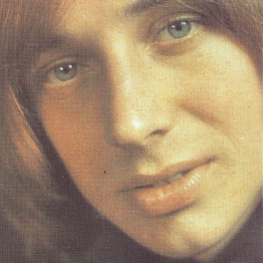 "The Real Thing" hit the shops in March 1969 and by late April the single was all over the radio. It hit the national #1 position at the end of June, elevating Russell Morris virtually overnight to the status of the nation's top male solo star. In the process, it vindicated both Meldrum's faith in his protege -- and the unprecedented amounts of time and money he had lavished on it. As well as its amazing chart success in Australia, and Without any promotional support from Morris, "The Real Thing" became a hit in several American cities, reaching #1 in Chicago, Houston, and New York. Basically a shy and reticent young man, Russell soon found his newfound star status to be uncomfortable and stultifying, but the juggernaut was already on its unstoppable course, with scenes of screaming fan hysteria whenever he appeared live or on TV music shows like Uptight. Performance-wise, he was kept thoroughly busy throughout 1969. It was standard practice in those far-off times for solo singers like Russell to be backed by local "pick-up" bands in the various cities and towns where they performed, and the identities of most of these acts is probably now lost to History. However, we do know that one young band that backed Russell Morris on a regular basis in and around Melbourne in 1969 was San Sebastian, which later became Madder Lake. According to bassist Kerry McKenna, San Sebastian had the historic task of backing Russell the very first time he performed "The Real Thing" live on stage! One can only marvel at the courage of groups like San Sebastian who attempted to bring such a complex studio creation to the stage. Describing those early tours, Morris recalled that performing "The Real Thing" was in fact a relatively easy task, even though there was of course no way to re-create the studio effects on stage. Apparently the tough one to play live was its follow-up "Part 3 Into Paper Walls", with it tricky staccato brass lines and frequent chord and tempo changes. A particular highlight for Russell was his participation in an unprecedented national package tour, dubbed Operation Starlift, which toured the country in late 1969. The frantic fan response to Russell's early slot in the bill regularly upstaged his co-stars, Johnny Young, Ronnie Burns and Johnny Farnham. Even accomplished and extremely popular bands on the tour, like The Valentines, Zoot, Doug Parkinson In Focus and The Masters Apprentices, often had the polish taken off their own exciting sets by the incredible reaction that Morris' fans accorded him throughout the tour. "The Real Thing" was still selling strongly by July '69, when its follow-up was released. The new single was an even more ambitious production, coupling two fresh Johnny Young numbers on a single which clocked in at a total playing time of just under twelve minutes -- unheard of for an Aussie 45 at that time. "Part Three Into Paper Walls" (co-written with Morris) was created as a deliberate sequel to "The Real Thing " It is also discussed in depth further on in this article. However, in the short time it took for the record to reach the top of the national charts, making Russell the first Australian singer to score two consecutive #1's with their first two Singles. Many radio stations also began flipping the single over and playing the lush B-side ballad "The Girl That I Love", thereby lengthening the single's shelf life -- and revealing to radio listeners another facet of Russell's singing talents. "I was just standing on stage like a statue, singing other peoples' songs and not doing anything worthwhile. I loved "The Real Thing" when I first heard it but in the end it drove me crazy. It was a big gimmick, a big commercial commodity that was forced on everyone and it almost killed me." "I can't say that the last eight months have been happy days for either Russell or myself. There were times when we hated each other's guts." A month after the Starlift tour had finished, and instead of the planned US jaunt, Russell and Johnny Young decided to go to England to support the Decca release of "The Real Thing" there. In retropect it's hard not to surmise that Molly probably had a better grasp of the reality of where the music business was heading at that time, but the all-pervasive influence of the British invasion was still dominant and many Australian musicians spent -- some might say wasted -- a lot of time and effort trying to break into the notoriously impenetrable British music scene. Ultimately, as LRB and Men At Work were to prove, the future lay with America. Nevertheless, Russell and Johnny duly trooped off to London, but in time-honoured Decca fashion, the label did little to promote the record, and those who did hear it remained largely unmoved. While there, Russell claims he did little but hang out with friends, although he did manage to come up with the outlines for a batch of his own songs that had great potential. He also recorded two numbers with expatriate Aussie guitarist Vince Meloney (ex-Aztecs), one being Meloney's "Little Lady", the other a breezy pop confection called "Rachel". These cuts remain unreleased, the perfectionist singer being very unhappy with the producer's mix. Dejected and homesick, Morris returned to Melbourne in December 1969 and immediately set about fresh recording sessions with EMI house producer Howard Gable. The result was a re-recording of "Rachel" which with its rich orchestration and war-protest storyline, reached its highest national chart position, #23, in May 1970. On the surface, this was a distinctly disappointing performance compared with the huge success of its predecessors, but this single's fate was in part determined, as that of many other single releases at the time, by the controversial 1970 Radio Ban which involved most of the major record labels, including EMI. Russell's determination to record his own songs was rewarded some months later, with the follow-up to "Rachel" which was the first outing for a full Morris composition. "Mr America" was a riff-heavy, gospel-flavoured number with a soaring female choral backing. Coupled with the equally strong self-penned B-side, "Stand Together", the single returned Russell to the charts, hitting the national Top 10 in January 1971. "Mr America" also won him the TV Week's Music Awards accolade for "Composer of the Year". Russell's determination to do it his way might well have derailed his career again. He recorded his first solo LP, again with Howard Gable producing, but Russell controversially scrapped the entire album, citing Gable's "misinterpretation" of his ideas. There have been few rock artists whose record label would have indulged them to the extent of funding a complete re-recording of their debut album, but that's what EMI did, so we should give thanks for their faith in their valuable artist, for the result was astonishing! Bolstered by the support of old friend and "big brother" Brian Cadd -- who had recently emerged from the wreckage of Axiom -- Russell re-assembled the songs that were to form the second version of his album, while Cadd recruited and rehearsed a band to back him on tour, Cycle. With renewed confidence, Russell crowned a difficult year with a well-received national support slot on the Bee Gees 1971 tour, and a debut album that fulfilled, in every respect, the promise that the now estranged Meldrum first saw in Morris in what seemed like eons ago. The contribution of Brian Cadd cannot be underestimated here. He assembled the musicians who realised Russell's splendid batch of new songs -- a "Who's Who" of OzRock heavyweights including Barry "Big Goose" Sullivan, Barry "Little Goose" Harvey and Matt Taylor from blues stalwarts Chain), former Spectrum drummer Mark Kennedy, bassist Duncan McGuire, guitarists Billy Green, Brian Holloway and Phil Manning, Peter Jones, Marcie Jones, Zoot's Beeb Birtles and Rick Springfield, and of course, Cadd himself. The album, appropriately entitled Bloodstone, was produced at Armstrong's in Melbourne by the welcomed-back Howard Gable, with crisp and punchy engineering by John Sayers and John French. The album highlighted Russell's command of a range of pop and rock idioms, not to mention his maturing voice, which now displayed appealing tinges of world-weariness and melancholy, and a newly-acquired honeyed timbre -- an improvement on the limited nasal tones of yore. These features were exemplified by the plaintive, introspective, and quite lovely single pulled from the album, "Sweet, Sweet Love", backed with the funky, Band-ish album cut "Jail Jonah's Daughter". Impressive sales figures resulted: the single deservedly made #7 in July '71, while the album made the national Top 20, peaking at #12 soon after its release in September and earning great praise from critics as well. That acclaim was an important fillip for Russell Morris, as he entered possibly the most fertile phase of his long career. Backed by Cycle , Russell presented the songs from Bloodstone on a gruelling round of touring, culminating with a reception of surprising affection and solidarity at the soggy 1972 Mulwala Pop Festival, Despite a strong local line-up consisting of Chain, Carson, Billy Thorpe & the Aztecs, The Coloured Balls and the La De Das and overseas headliners Canned Heat and Steven Stills & Manassas, the festival was marred by the all-too-familiar mix of bad weather, bad vibes bad organisation and too much alcohol. Amid all the hassles, Russell Morris & Cycle wowed the crowd with his new repertoire, intermixed with the popular hits, and according to reports at the time, Russell was the standout success of an otherwise rather shambolic event. Still with the stolid background support of mentor Brian Cadd during 1972, Morris and he co-wrote the follow-up single to "Sweet, Sweet Love", an exultant declaration of platitudes and credos, firmly in the country-gospel mode, called "Live With Friends", which with its flipside, the quirky country stomp "Alcohol Farm", made healthy chart impact; a national #13 placing in April. The follow-up to that worthy single, which proved to be one of Russell's msot enduring works, also peaked at #13 in December 1972. "Wings Of An Eagle" was a beautiful, lushly-produced and typically multi-faceted song from Russell's own pen, and he put in an astonishing vocal performance. With this number, Russell explored his growing interest in theosophy and the concept of Red Indian spiritual guides. In 1973, Morris moved to London to record an album, only to discover there was no record contract waiting for him. He relocated to New York and set to work on an album there. This impressive, self-titled LP, released in 1975 on Robie Porter's Wizard label in Australia and on RCA for US release, featured contributions from such respected studio veterans as Hugh McCracken (gtr) and David Spinozza (dr), fresh from sessions with both Lennon and McCartney, as well as Will Lee (bs), Ken Archer (keys), Rick Marotta (dr) and the Brecker Brothers on horns. It incldued re-recordings of "Wings Of An Eagle" and "Sweet, Sweet Love", bolstered by ten new Morris-penned songs, and its strong critical reception augured well for Russell's future ventures into the late seventies and the single "Let's Do It", which reached #14 in November '75. A second American album, "Let's Do It" appeared in 1976 but it took two more years before he was granted his prized "Green Card", enabling him to work in America. By that time, any chance of an American career had evaporated. By the time Russell returned home he found a very different Australia than the one he had left behind five years earlier. 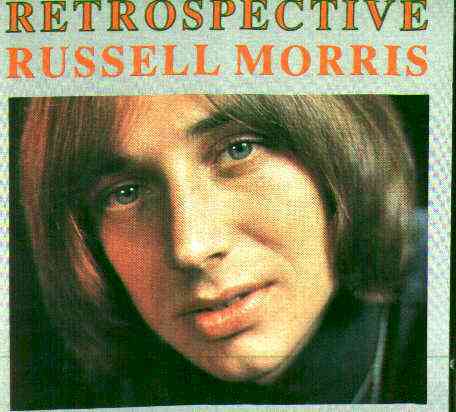 Russell Morris continued with a varied but always vital career in OzRock. He fronted a variety of outfits during the Eighties including Russell Morris & the Rubes, The Russell Morris Band and The Lonely Boys, and he has notched up a number of solid hits and fine, well-received Albums over the years. He also branched out onto the musical stage, appearing as 'Riff Raff' in a Melbourne production of The Rocky Horror Show and a few years later taking on the role of Simon Zealotes in the hit 1992 arena production of Jesus Christ Superstar alongside John Farnham, Kate Ceberano, Angry Anderson and Jon Stevens. In 1991, he released another solo album, A Thousand Suns, and soon after, he became part of the popular trio Burns-Cotton-Morris with old comrades Darryl Cotton (Zoot) and Ronnie Burns, performing a highly successful hits showcase on the club circuit. After Ronnie decided to retire from performing, his place was taken by another Sixites legend, Jim Keays. In March 2001 Russell took part in the extraordinary "Gimme Ted" benefit concert, held in aid of his old friend Ted Mulry, giving an unforgettable performance of "The Real Thing" with an all-star band consisting of Kevin Borich, "Dr" Harry Brus, Mark Kennedy and keyboard player Clayton Doley. Also in 2001, "The Real Thing" and "Wings of an Eagle" featured prominently in the Australian-made movie The Dish and Midnight Oil released their own version of "The Real Thing" as a one-off single. In 2002 Russell took a place of honour among his peers as part of the hugely successful Long Way To The Top concert tour. 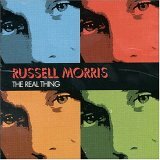 Coinciding with LWTTT, Undercover Music released the definitive 2CD Russell Morris anthology, The Real Thing, which includes the long-overdue re-issue of all the tracks from Russell's classic Bloodstone album, bolstered by a career-spanning selection of Russell's best tracks, ranging from "Hide and Seek" through to recent recordings with Burns, Cotton & Morris. Russell's continuing popularity with audiences demonstrates the affection and esteem that he still commands as a true OzRock icon. An Appreciation of "The Real Thing" and "Part Three Into Paper Walls" and their Importance in Australian Rock History. "The Real Thing sprang from the fertile mind of Johnny Young. Like so many of his contemporaries, he headed off to in London at the peak of the psychedelic era, with hopes of "making it" in the Old Country. Although that dream was not realised, there were some important spin-offs. Johnny spent a lot of time hanging out with (and picking up valuable songwriting tips from) his old mates The Bee Gees. During his eventful London sojourn -- which included his first and only experience with LSD -- Young began noodling around with a chord pattern on an acoustic guitar and gradually evolved a melody vaguely similar to Donovan's "The Hurdy Gurdy Man". The song was, by Young's own account, an oblique swipe at the advertising industry, inspired by a contemporary (1967) advertising campaign which declared a ubiquituous brand of cola soft-drink to be "the real thing". The song started out as a simple, plaintive ditty, which he intended as a "Strawberry Fields" style chamber piece, with acoustic guitar and strings. "The Real Thing" developed into the full-blown widescreen extravaganza we know and love thanks to the intervention of Russell Morris' then manager and mentor, Ian "Molly" Meldrum. When Johnny Young arrived back in Australia in early 1968, he realised his pop career was effectively over, so he concentrated on developing his songwriting and producing career, and finding singers for his material. "The Real Thing" was originally earmarked for Ronnie Burns, who was by then a major solo star. Young was playing it to Burns in the dressing room of the Channel 0 studios in Melbourne during the taping of the pop show Uptight. As luck would have it, Meldrum chanced by at that moment, heard the song and was smitten. Here was the vehicle he'd been searching for to launch the career of his young protege. He just had to have it for Russell Morris, he decided, and nothing was going to stop him. Young wasn't particularly keen, but according to legend, Molly turned up at Young's house in the early hours of the morning armed with a tape recorder and he refused to leave until Young had taped a demo of the song for him. In late 1968, Meldrum was assigned as producer for the new single, and set about assembling a backing group comprising denizens of Melbourne's healthy and congenial rock fraternity, at Armstrong's studio, then the pre-eminent recording facility in the country. Enlisting top engineer John L. Sayers, and the arranging skills of John Farrar, lead guitarist with The Strangers, Meldrum and his collaborators began to fashion the basic tracks that would form "The Real Thing". He recorded the basic track using a session group built around the rhythm scetion of one of Melbourne's top bands, The Groop's -- Brian Cadd (organ, piano), Richard Wright (drums), Don Mudie (bass). The track was later augmented with guitar overdubs by Zoot's Roger Hicks, along with backing vocals from Groop lead vocalist Ronnie Charles and session singer Maureen Elkner (who later became famous for her Bob Hudson-penned novelty hit "Rack Off Normie!"). Tracking began in late 1968 and continued over several months into early 1969. As the sessions progressed, Meldrum was building a sound collage idea in his mind, but he played his cards close to his chest, and at these early sessions, the musicians could not have envisioned how their short recorded segments would fit into the greater scheme of things. As with Brian Wilson's Pet Sounds, or Lennon's "Strawberry Fields Forever", "The Real Thing" marked a change from the usual practice of recording pop songs more or less live in the studio. It was was assembled from numerous separately recorded parts, which were themselves heavily edited. The headphone-wearing trainspotters among us might, in retrospect, be able to detect a number of edit points, where disparate song elements were patched together to form the continuous whole. But it was a deftly-accomplished job of sonic juggling, much to the credit of patient engineer Sayers. Even tambourines and maraccas were recorded with great fastidiousness and given prominence in the lavish final mix! And lavish is indeed the word -- Meldrum reputedly spent over $10,000 on this one track -- many time more than was usually budgeted for an entire LP at that time. It was far and away the most expensive and complex single ever recorded to that time, and set new standards of production for Australian rock music. As a result of his supposed profligacy, Meldrum was reportedly sacked from the project, but he refused to let it go. When EMI decided to release the single only in Victoria, Meldrum personally took copies to Sydney to get it played on local radio stations. Engineer John Sayers recounted some fascinating details of this epic production when interviewed by John Doyle on Sydney radio station 2BL ca. 1996. He recalled that the basic track was laid down in only a few takes, which is not surprising given the skills of the musos involved. At this early stage the song was intended to be much shorter than the version that was eventually released. The Groop played the body of the song through, but then they began to jam and improvise on it as the 'take' continued past the presumed fade-out point. The quick ears of Molly and Sayers picked up that this was good stuff, and they wisely kept the tapes rolling, exhorting the musos to keep going until the take eventually broke down after about ten minutes. It was this spontaneous jam which provided the foundation for the extended ‘freakout' sound collage that makes up the second half of the song. The finished recording begins with the haunting acoustic guitar motif, played by Roger Hicks -- which was actually one of the last overdubs added to the mix -- before folding out into Russell's breathy delivery of the main refrain. As the song develops, so too do the startling sound treatments that Meldrum and Sayers had designed to bring the song into its otherworldly, epic realm. The first verse has an almost pastoral feel – Morris' gentle vocal, backed only by Mudie's beautifully plunky bass, and some fluid acoustic guitar by Hicks. Into the second verse, the groove unfolds, with drums added and Cadd supplying supremely mod Hammond organ; the overall sound tight and close. The spacey, raga-flavoured middle eight opens out with an ethereal choral backing, and various Eastern embellishments such as sitar. Into the third verse the sound gets much broader and heavier: Cadd switches to grand piano, its signal is heavily compressed and equalised to remove the "bottom-end", and fed thru a echo chamber, creating the tinny yet dramatic sound so popular at the time (e.g. on The Beatles' "Lady Madonna" or "Hey Bulldog"). A reprise of the middle-eight, and then it's off into the "freakout" zone. Another unsettling effect is the dual vocal in the later verses, with Morris' voice mixed to the fore and another strange, whispery vocal behind it. It's an effective trick, later used by The Doors on their classic "Riders On The Storm". Funnily enough, according to Sayers,the other voice was actually a guide vocal prepared by Molly, to instruct Russell as to how he wanted the singing to sound. Molly is by all accounts a fairly awful singer and the tape was apparently received with some scorn. Morris sang pretty much as he pleased, but Sayers and/or Meldrum had the bright idea of keeping the guide track, and mixing it into the second verse. Although there had been previous examples of the use of "phasing" on Aussie records before this -- notably The Wild Cherries' "That's Life", Cam-Pact's "Drawing Room" and The Twilights' "Comin' On Down" -- "The Real Thing" was the first major Australian recording to employ this trick, and to such a devastating extent. Phasing is a recording technique in which the original sound signal is fed back upon itself with a miniscule delay, creating a swooshing, "out-of-phase" modulation of the original signal, making it sound to the listener like his or her head is immersed in a large sea-shell. Phasing creates a lush, swirling wash of sound, suggestive of the disorientating sensory effects people have reported while under the influence of LSD or similar hallucinogens. Consequently, along with reverse tape effects, it became one of the hot studio tricks of the psychedelic era. The discovery of tape-based phasing is credited to George Chkiantz, house engineer at London's famed Olympic Studios. It's also called sometimes called "flanging" because the effect was (in those days) obtained by playing two synchronised tape recordings of the same sound source. A delay in the playback of one tape could be produced by simply pressing a finger onto the outer edge (the 'flange') of the tape reel; the length of the delay -- and thus the 'depth' of the phasing -- could be manipulated by how much one reel was slowed down compared to the other. The term survives in the Flanger guitar effect unit, which produces the same effect electronically. One of the first and best examples of the classic phasing effect is on The Small Faces' 1967 single "Itchycoo Park", which was engineered by the great Glyn Johns, England's first freelance recording engineer. The astonishing drum-roll motif, drenched in phasing, was a distinct distinguishing feature of that record, and Meldrum loved it. He slapped the effect all over "The Real Thing", which imparted an alien, tripped out feel to what, after all, began as a simple acoustic ballad. Another production hallmark Meldrum employed was the massed choir effect. The vocal call-and-response arrangement that's introduced early in the piece ("I am the real – REAL! ", etc) reaches an apotheosis in the song's closing stages, which throws in everything including the kitchen sink. Throughout this glorious melange of sound is the solid and driving underpinning of the Groop rhythm section rocking out, with insistent bleating guitar squalls and heavily processed vocal and percussive decorations. During the 'freakout' section, a voice (possibly Molly) delivers what sounds like a "buyer beware" message to potential trippers, although the actual text was supposedly a product guarantee, read verbatim from the back of a BASF audio tape box! A particularly notable and innovative feature of the production is the way the second section is punctuated by deliberate edits and 'dropouts' of various instruments -- a technique which anticipates the studio explorations of dub music in the 70s. At the end of its heady six-plus minutes (unheard of for an Australian single then -- only the Fabs' "Hey Jude" had previously managed to break the 3-minute constraint for airplay 45s), "The Real Thing" descends (or ascends?) through a wild spiral of sound and fury which includes a recitation of the concluding part of Winston Churchill's famous "This was their finest hour" speech. As the song reaches its climax, it is provocatively undercut by a wartime recording of a choir of the Hitler Youth singing their anthem, the "Horst Wessel Lied". Finally, as the massed German voices shout "Seig Heil! ", the song simply explodes, ending with the apocalyptic sound of an atomic bomb blast! "PART THREE INTO PAPER WALLS"
The sequel to "The Real Thing" maintained this production ethic, but took it to even greater extremes. "Part Three Into Paper Walls" sounded similar, but was sonically far superior, utilising as it did the rhythm section from The Groop, along with most of the other musicians featured on the previous single, plus a horn section. But this time it was recorded with even more punch and clarity than on the first single. "Part Three" picks up where The Real Thing left off, opening with an explosion and followed by a brief, heavily-phased reprise of "The Real Thing" guitar coda. It then moves into Russell's introspective examination of the power of bright colours, sung over a rich blend of soft phase-drenched strings and choral pleading with freaky ghost-vocals replicating Russell's vocal parts, before unfurling into the brass-laden bravura finale that to listen to, feels like you've just stepped into Phil Spector's darkest dreams. And, in a neat touch of tying it all together, the song fades into a reprise of the gorgeous, phase-drenched acoustic guitar figure that introduced "The Real Thing". Both Singles were recorded and mixed at Australia's top recording space of the day, Armstrong's Studios in South Melbourne. Both were mixed from the master multi-track tapes to mono, a common practice of the day where AM radio play was the prime consideration -- although in this case it was also necessary to achieve the full phasing effects. Because of this, sadly, no stereo mixes were ever made for the two songs. The American release of "The Real Thing", on the Diamond label, was spread over two sides (parts one & two), and was emblazoned with the legend "stereo". It wasn't. It was issued with that appalling mono, reprocessed for stereo gambit peculiar to US pressings at the time. Even the so-called remix issued by EMI on 12" in 1990 was not, strictly-speaking, a true remix at all. Rather, it was the original tape of TRT, with added drumbeats and studio-enhanced effects. Supported by a bizarre video clip that mixed wartime found footage with original black and white inserts of a young, spotlit Morris miming the song on Uptight in 1969, this re-release made minimal impact and only really served as pale reminder of the magnificence of the original. "The Real Thing" manifested its important influence in other ways. In 1990, Ollie Olsen's trance/electro outfit Third Eye released a lovingly recreated version as a single, dedicating it (fittingly) to acid guru Timothy Leary. That single was a moderate chart success, but a recording triumph. Other, slightly dodgier adaptations of later appeared. In July 1999 on "Hey Hey It's Saturday", Molly expressed his disdain for the quite tacky and inept use of the song in a tacky canned fruit advert that excrutiatingly mangled the main chorus. And original composer Johnny Young did the song no favours when he unashamedly re-created it for use in a kitsch promo trailer for his pay-TV programme, Cavalcade Of Stars. The impact of "The Real Thing"and "Part Three Into Paper Walls" was most strongly felt when these two seminal Singles were first released. While hardly surprising (since Meldrum was a staff writer) "The Real Thing" was the subject of considerable coverage in Go-Set, even to the extent of featuring photos from the sessions. While their influence and stature can be measured in the terms of the remarkable new music that was surrounding them in late 1969, their effect continues to be felt even now. Chart notes: The Real Thing was released in March 1969 and held the national number 1 position for two weeks in late June 1969 (sandwiched between The Beatles' "Get Back and "The Ballad of John & Yoko". It remained in the top forty for months, and was still charting strongly when its follow-up, "Part Three Into Paper Walls" smashed its way to a three-week run at the top, lingering on the best-seller lists for most of the rest of 1969. "Hush" / "Heatwave" // "When I Go Home" / "Baby Blue"
""That Girl That I Love" / "Slow Joey" / "Rachel" / "Mr America"
"Get You Where You Want"
"So Good To See It"
"Winter Song Wolves In White"
"Only a Matter of time"
"The Girl That I Love"
"The Wings Of An Eagle"
"The Roar Of The Wild Torpedoes"